Entertainment Tonight Canada is all atwitter about Katie Holmes and Matthew Perry filming The Kennedys After Camelot here in the GTA. They're reporting the mini-series is filming in Toronto, but as someone who watched the set being built from his bike seat, a great deal is actually being filmed on the Mississauga side of Marie Curtis Park. 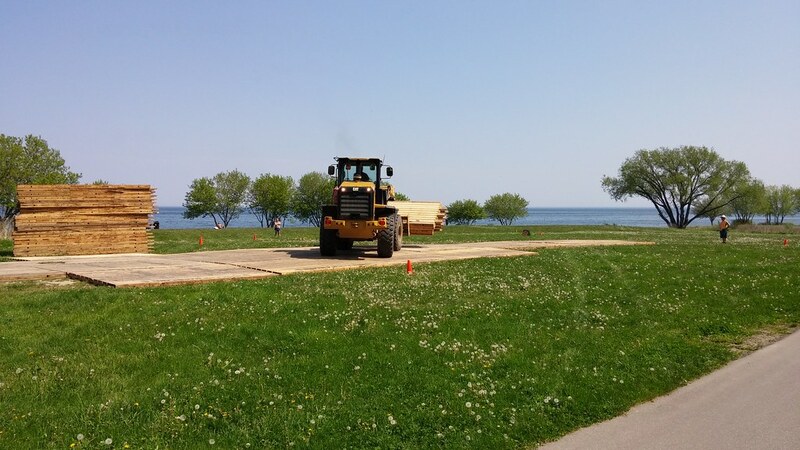 On May 24, I took this pic of a wooden floor being built on the grass. By May 31, the structure was taking shape. What was it going to be? A store? Washrooms? Soon enough, they were using the set to film After Camelot. Pretty cool. Does the park have a grassy knoll? It's only a model. Shh. This all takes place after the death of JFK. Matthew Perry is actually playing Ted Kennedy. perhaps this is supposed to be the swanky massachusetts family compound that was in martha's vineyard or thereabouts. I was lucky enough to spend my honeymoon in Cape Cod in 1990. We stayed in Hyannis which is on the mainland in Mass. 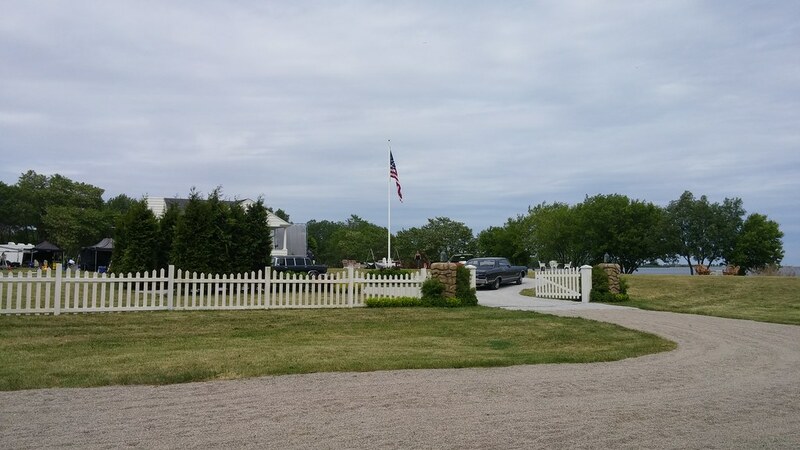 We took a cruise to Hyannis Port boating by the Kennedy Compound & never ever seen anything like it, on an island with other residences & shops. Very quaint. With the pics from Mary Curtis is close, but on a very much SMALLER scale. Water all around & very short road to town & how can that be filmed. Scenery is great all through Cape Cod, especially PTown - LOL (for those who understand). I wonder if this is officially a sequal to the "The Kennedys" mini-series from a few years back. Katie Holmes played Jackie O. I enjoyed that series. - especially Barry Pepper as Bobby Kennedy. It was errr uhhh, fanstastic.